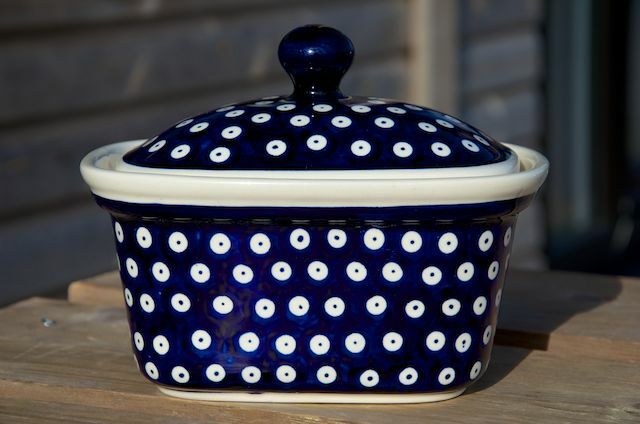 Polish Pottery Dark Spot Large Butter Box by Ceramika Zaklady. Polish Stoneware Pottery Dark Spot large Butter Box by Ceramika Zaklady. Decorated in Dark Spot design. Height 14.8cm x 18.7cm long x 14.1cm width. Capacity 0.75 litres.